“Autumn is a second spring when every leaf is a flower,” said philosopher Albert Camus. If you need an excuse to experience fall’s splendor, get out and walk. 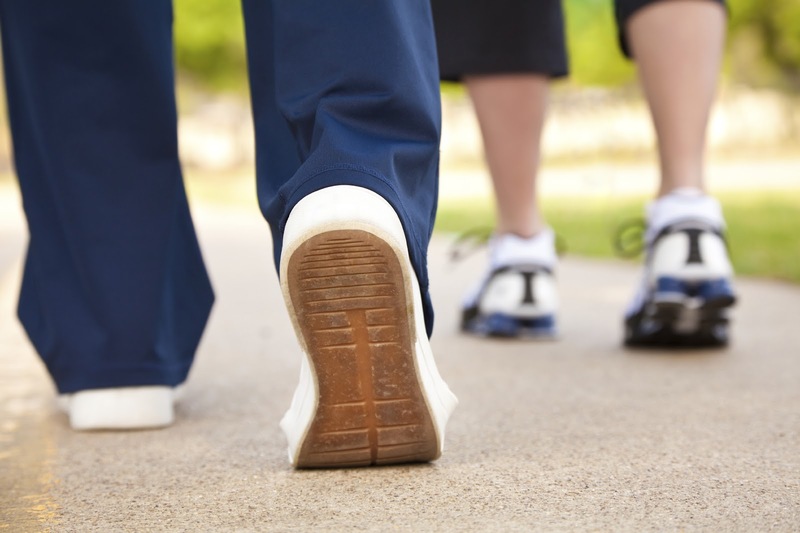 Walking is a readily accessible and budget-friendly form of exercise. Orthopedic surgeon and sports medicine physician, Wayne Leadbetter, MD once told me that a walking program benefits every part of the body. While some think walking is “too easy,” this exercise lends itself to people of all ages, fitness levels, weights and health conditions—and you can gradually increase your intensity by walking farther, more often or faster. Even those with arthritic knees can strengthen the muscles that protect the joints by walking, according to Dr. Leadbetter. Before starting a walking program, check with your doctor especially if you are age 60 or older, or have previous health conditions such as heart, lung or balance problems. Buy a good pair of walking shoes. Dr. Leadbetter cautions against trendy footwear such as unsteady “toning” shoes or lightweight, minimalist athletic shoes. He believes that shoes need to have good cushioning to soften your weight against the ground. Wear clothes appropriate for the season. Although it’s chilly outside, you’ll warm up fast so dress like it’s ten degrees warmer outside. Think moisture-wicking fabrics (spandex, polyester, nylon and Lycra) for shirts worn closest to the skin, pick a lightweight fleece material for your insulating layer, and for windy days select a nylon shell or windbreaker. Keep in mind that dark-colored clothing attracts the sun, and bright colored clothing will help you be seen as it gets dark. Start slowly and gradually increase your activity. Start by walking for short amounts of time, slowly increasing the amount of time you exercise each week. This approach allows your muscles, joints, tendons and ligaments to follow a natural progression to longer workouts with far less risk of injury. According to Dr. Leadbetter, overuse is the leading cause of exercise injury. Find a safe, well-paved area to walk. Consider bringing a friend for company and motivation. Focus on keeping your spine straight, chin up and shoulders back (but relaxed). Land on your heel and roll your weight toward your toe. Swing your arms gracefully in time with your legs. Keep at a “talking pace,” meaning you can easily sing to yourself or talk to your partner. Listen to your body and never “work through” joint pain, chest pain or shortness of breath. Pain is an indicator that something may be wrong. If you are experiencing light-headedness, stop exercising.